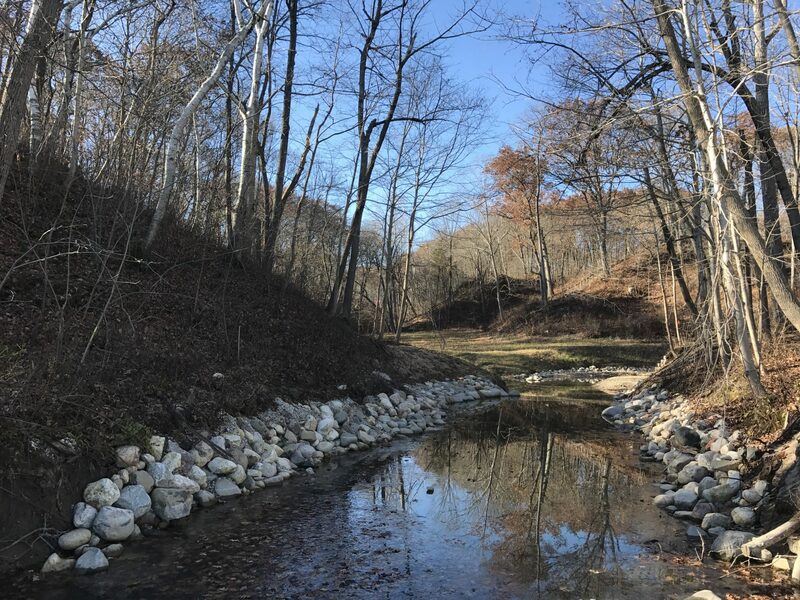 In 2015, John Keno & Company was awarded a 5-year construction contract for ravine and coastal restoration by the U.S. Army Corps of Engineers. 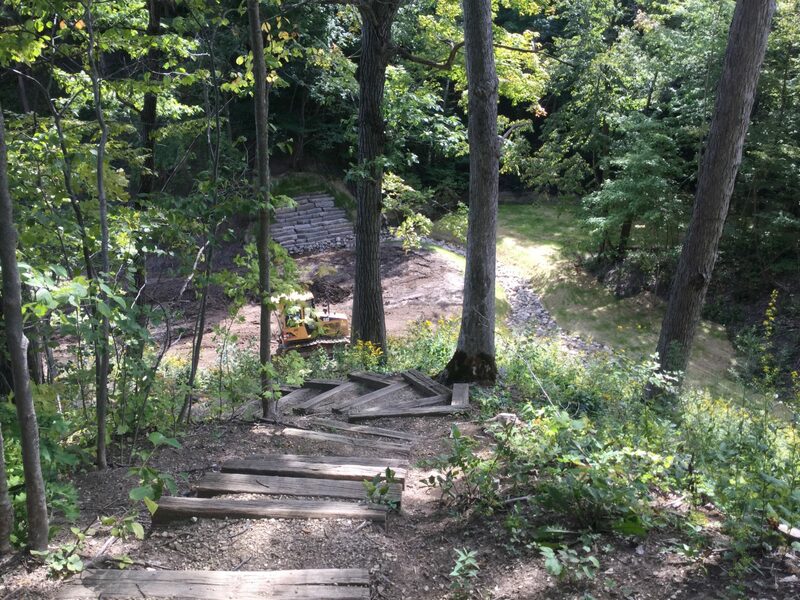 John Keno in turn looked to Bleck to layout new ravine thread lines, stone step pools, rock riffles, earth retaining structures, and walkways. 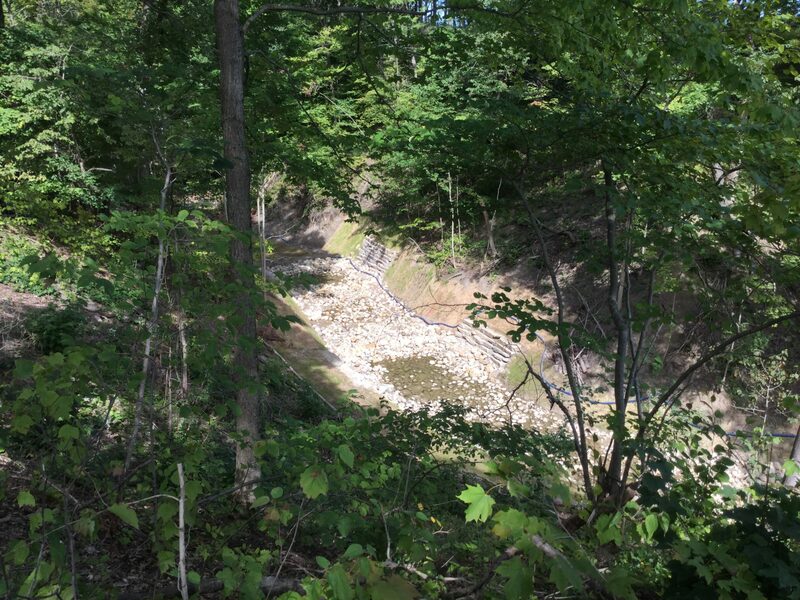 As part of their contract with the Army the contractor was required to submit shop drawings for riprap that were sized and signed by a professional engineer. 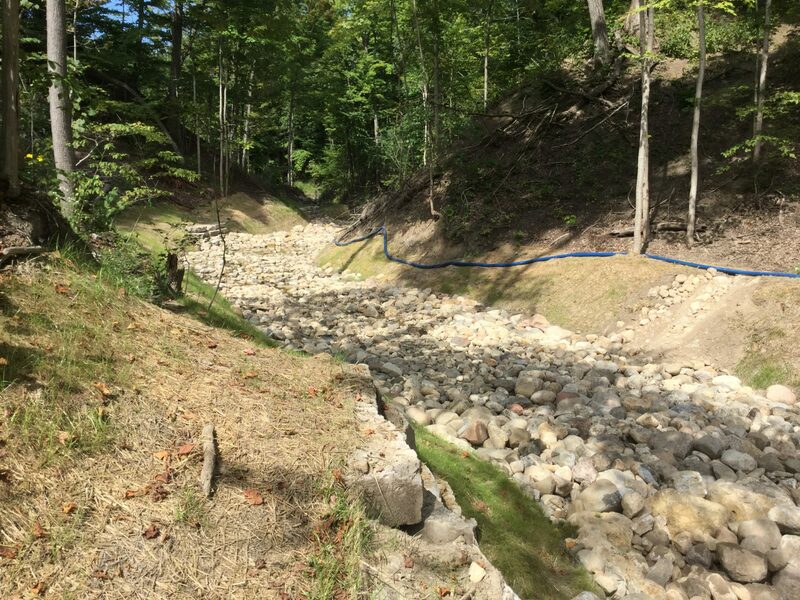 Bleck was able to leverage their knowledge of the immediate watershed in order to get the proper sizing of the stone to keep the construction project on schedule. 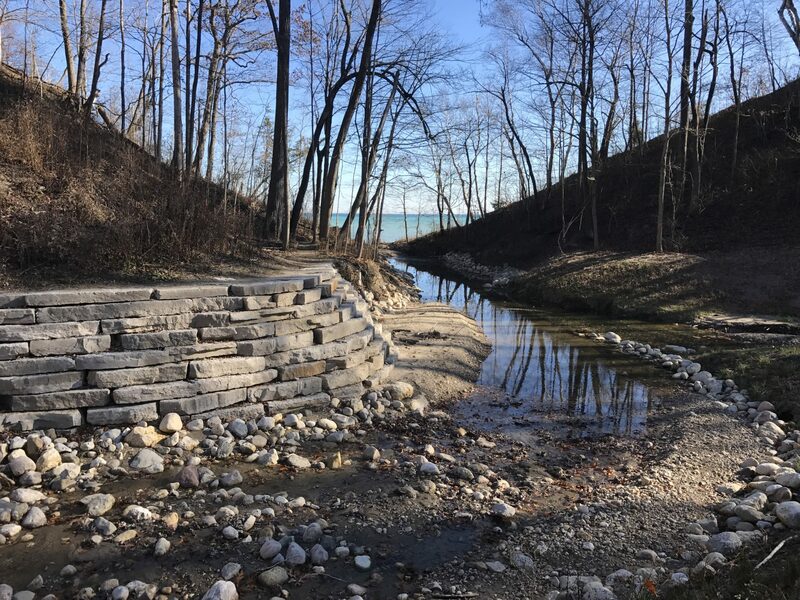 The Fort Sheridan Ravine and Coastal Section 506 Great Lakes Fishery and Ecosystem Restoration Project spanned across four main ravines and 1.5 miles of coast line on Lake Michigan.